Did you ever have the kind of day where every single thing that theoretically could have gone wrong didn't? I flew to Ithaca today, on the last flight into town, arriving at midnight. My flight had FOUR legs, and involved switching airlines. If the weather was bad or there was any other kind of delay in Duluth, Detroit, Columbus OH, Philadelphia, or Ithaca, I'd have missed my flight and probably been late for the event I'm here for. But every single flight left on time, from a gate right close to the one I'd come from, and every flight arrived 20-30 minutes early. My first two flight attendants were not just nice and pleasant and competent--they were superb. And the second two were nice and pleasant and competent. Three of my seats were window seats with no one next to me. The other one was a window next to a chemical engineer my age who was really fun to talk to--that flight zipped by even faster than the shorter legs. And the sunset was one of the most beautiful I've ever seen. So a day that could have been a nightmare turned out to be a dream. And now it's time for me to go to sleep. 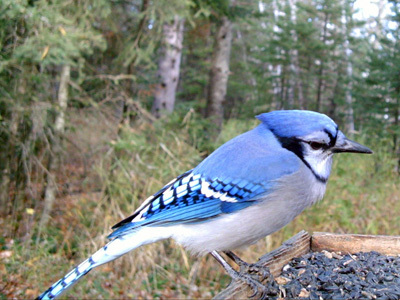 Nov 27th, 2007 | WASHINGTON -- National wildlife refuges more than make up for their cost to taxpayers by returning about $4 in economic activity for every $1 the government spends, according to a federal study released Tuesday. Overall, the refuges drew some 35 million hunters, anglers, birders and other visitors in 2006, supporting about 27,000 jobs, the study found. Advocates of the system pounced on the results as evidence that budget cuts under President Bush have been ill-advised. "Refuges are economic engines in local communities. There's no doubt about it," said Desiree Sorenson-Groves, vice president for government affairs at the National Wildlife Refuge Association. "The budget cuts have an impact .... You have people who are going to refuges and there's no staff, or a wildlife drive is closed because it can't be maintained." Under an ongoing restructuring, the U.S. Fish and Wildlife Service is planning to cut 565 jobs from refuges by 2009 — a 20 percent reduction. The plan would leave more than 200 refuges unstaffed. 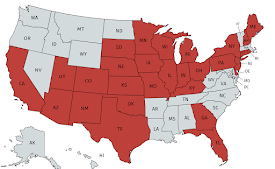 Tuesday's report, issued by Fish and Wildlife economists, said the areas created some $1.7 billion in economic activity and $185 million in tax revenues. Glenn Greenwald, tenaciously taking on Time Magazine with regard to a Joe Klein piece, has inspired me once again to take on Newsweek for this little gem, still on their website and still with not a single acknowledgment from the editor pointing out that the author violated state and federal laws, and quite likely local ordinances, in shooting a cardinal that she found annoying. The article is also repeated on gunowners.org with no caveats about the legal issues involved in shooting a cardinal. I believe most conservatives and gun organizations are sincerely in favor of enforcing laws against the illegal use of firearms, and so am mystified why this editorial appears here without such a caveat. After living for 36 months under the siege of Cardinalis, I cracked. My sleep patterns had altered, my ability to concentrate (already declining with age) was spiraling down to about 30-second intervals. My hands were shaky, my head ached, my vision blurred. I had morphed from a cookie-baking granny to a crazed zombie. I turned away from my bleeding-heart pals toward those who enjoy a more pragmatic turn of mind--those who honor the way of the warrior. But rather than reject her article as Newsweek no doubt normally rejects the ramblings of mentally unbalanced individuals, they rewarded her financially and in print by publishing it as a "My Turn" column. They have yet to apologize, or to have added any caveats regarding the egregious illegalities Walda Cameron triumphantly boasts about, and still have the article online. Russ and I canceled our subscription as a result of this piece, which was printed as a full-page magazine editorial as well as posted online. Although I wrote to the magazine's website, I received no acknowledgment or response from the editors. I know they received many other responses, but only two gently-worded items were published. Does Newsweek have no policies regarding publishing editorials boasting about breaking well-known and clearly defined laws? 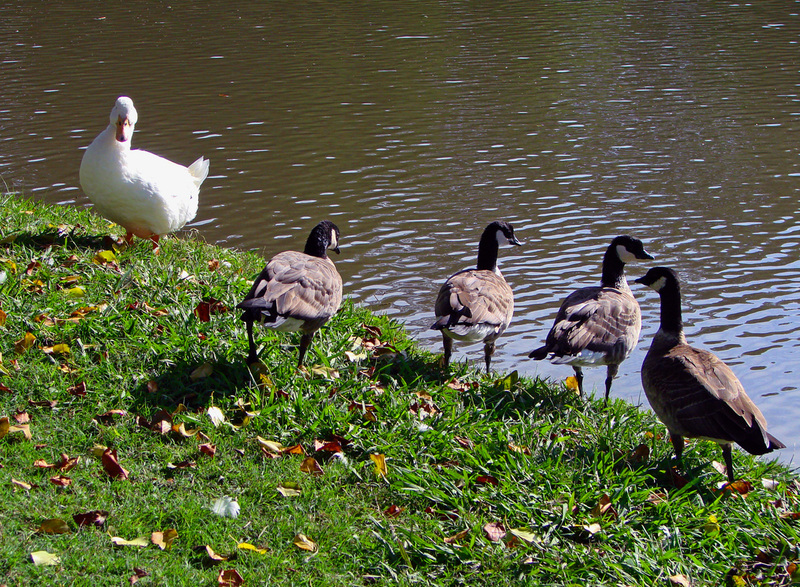 When I was in California last week, I went to Oak Grove Park in Stockton, where a host of domestic ducks and geese are joined with some genuinely wild birds. Coolest were four tiny Cackling Geese that appear to be the Aleutian subspecies. 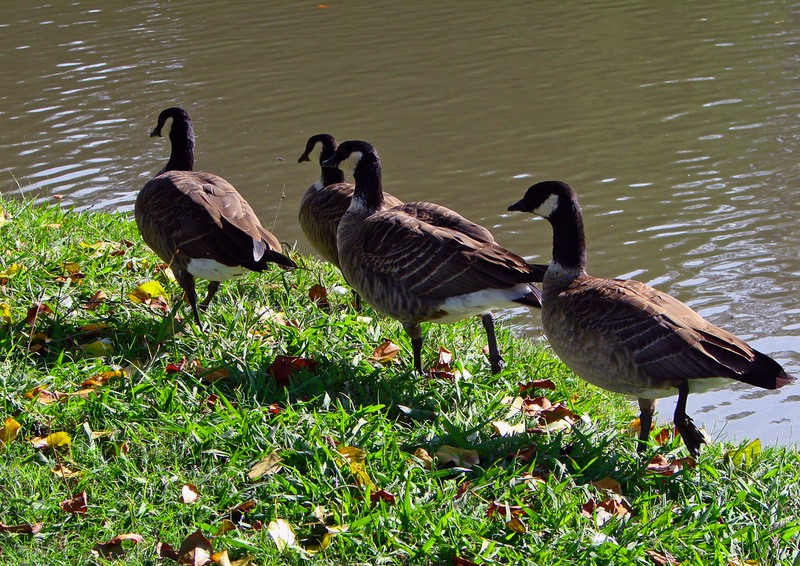 They're smaller than domestic Mallards, with a very short neck and tiny beak. It was really fun to see them up close and personal--their diminutive proportions as well as smaller size make distinguishing them from Canada Geese rather the same kind of situation as distinguishing Hairy and Downy Woodpeckers. 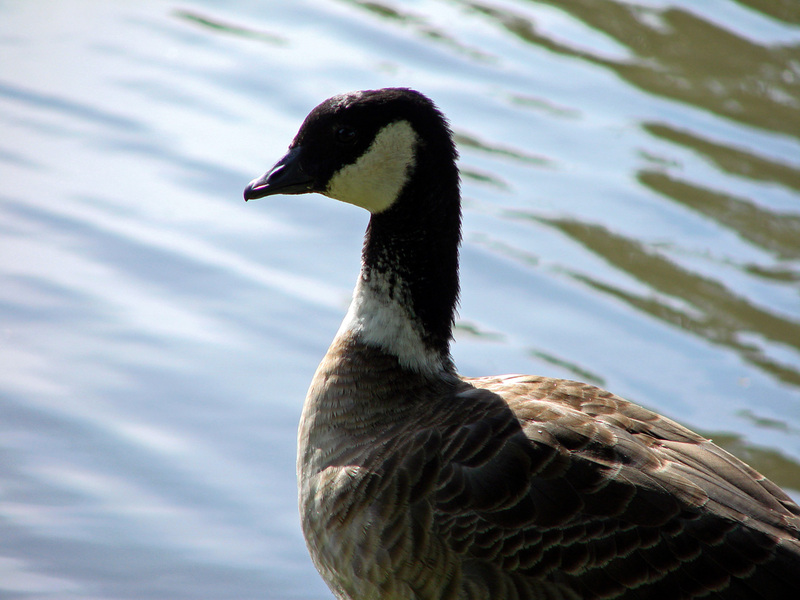 The only field guide that I know of that shows the Cackling Goose as a different species is the fifth edition of the National Geographic guide. 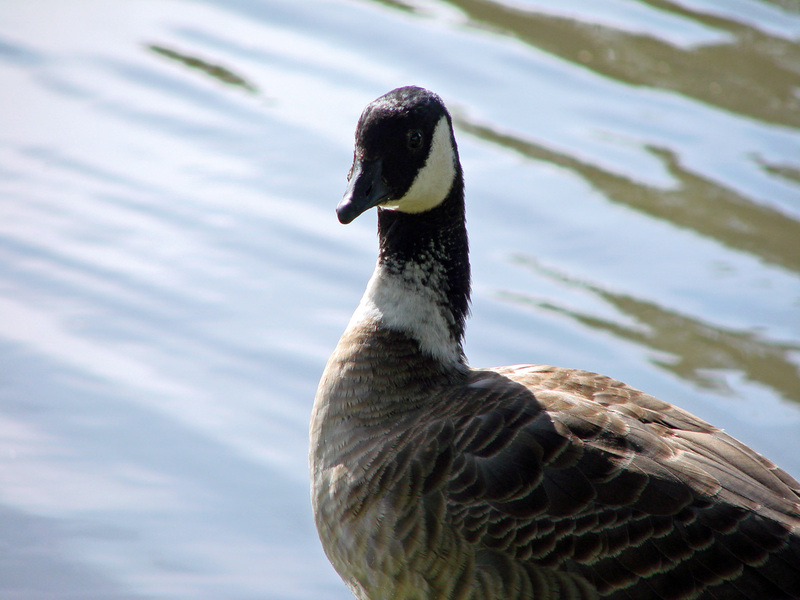 But the Cackling Goose entry is up to date at Cornell's All About Birds site. 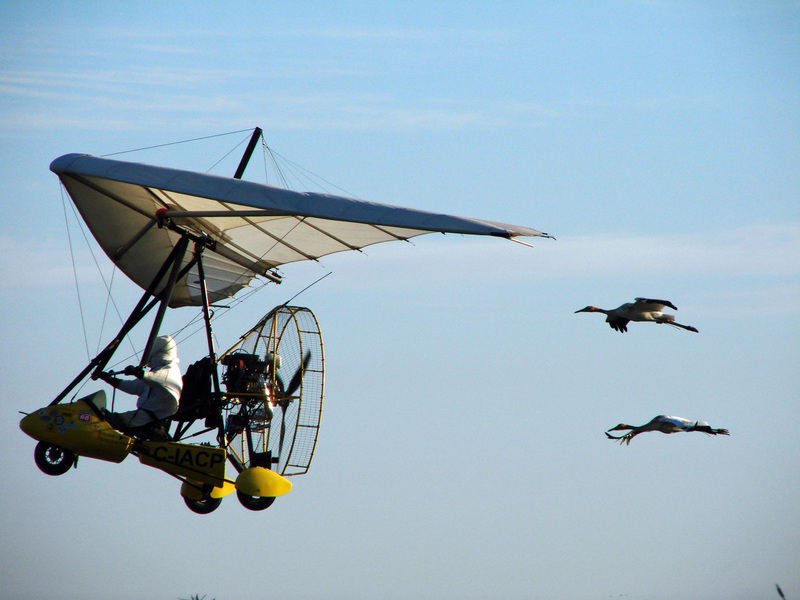 Oh, dear--one of the baby Whooping Cranes dropped out of the flight Friday and hasn't been found yet. The team is in Washington County, Kentucky right now. You can keep track of their whereabouts at the Operation Migration Field Journal. I drove out to Two Harbors today to see the Inca Dove that practically every serious listing birder in the state saw weeks ago. I've been out of town so much, and then this week I've been so sick, that I didn't have much chance to get away until now. Also, even though Two Harbors is the next city up the shore from here, it's still a 48-mile round trip, meaning I squandered almost a whole gallon of gas driving there and back. I've lost my stomach for most "chasing," especially because the waste of energy directly exacerbates global warming as well, but something about a tiny Texas dove turning up so far away from home seemed like a genuine miracle, and we can't just hop in our cars and head off to see a genuine miracle every day, can we? But when I found the bird--on the exact block where the MOU hotline said it's been hanging out--suddenly I was filled with sadness, hungry for another miracle. The bird is so lovely, and so out of place on an icy, murky November day in the north, the temperature promising to dip much, much further before it rises again. Suddenly I didn't care about my Minnesota list--I just wanted the little bird to hightail it out of here and fly and fly and fly. Headed due south. 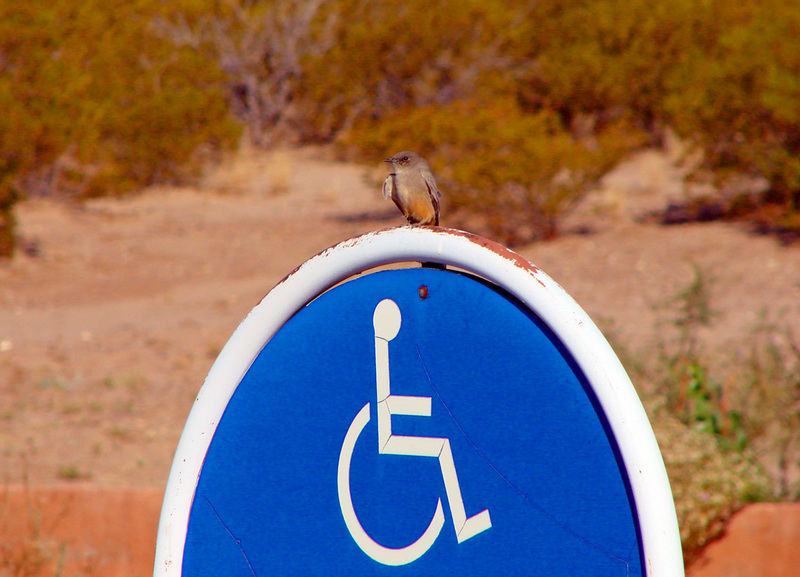 There is such a queasy strangeness to seeing such a bird up here. I've watched Inca Doves walking on pavement that had to be at least 120 degrees Fahrenheit, those fleshy feet unprotected from the hot surface, looking literally red hot. Today that same shade of red seemed icy cold--the shade of red my legs used to get under my nylons walking to my Chicago-area high school on frigid winter days, back when I was far too "grown up" to consider wearing snowpants. 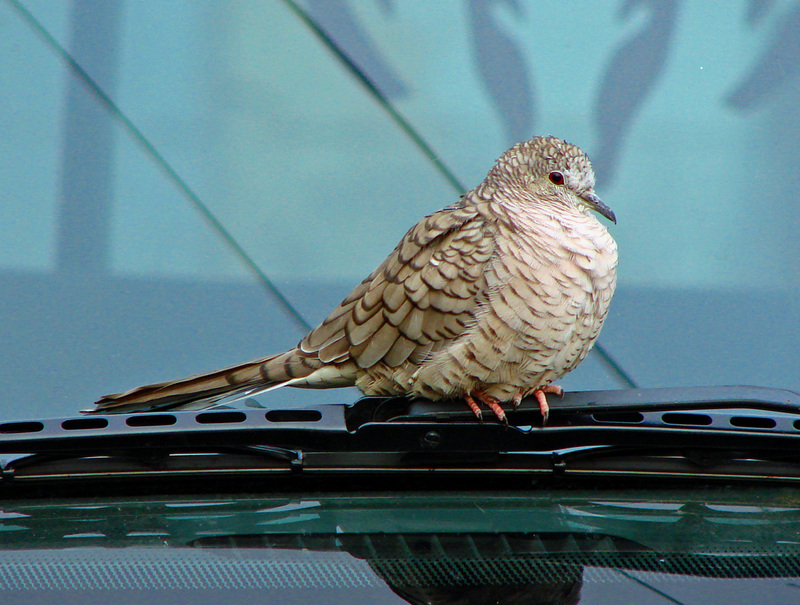 The dove hardly shares my adolescent pretense of sophistication--it's bare-legged because that's how doves are, and whatever impulse drove it to Two Harbors, Minnesota, choosing with intention and understanding to be so far north of its natural range was not part of the process. 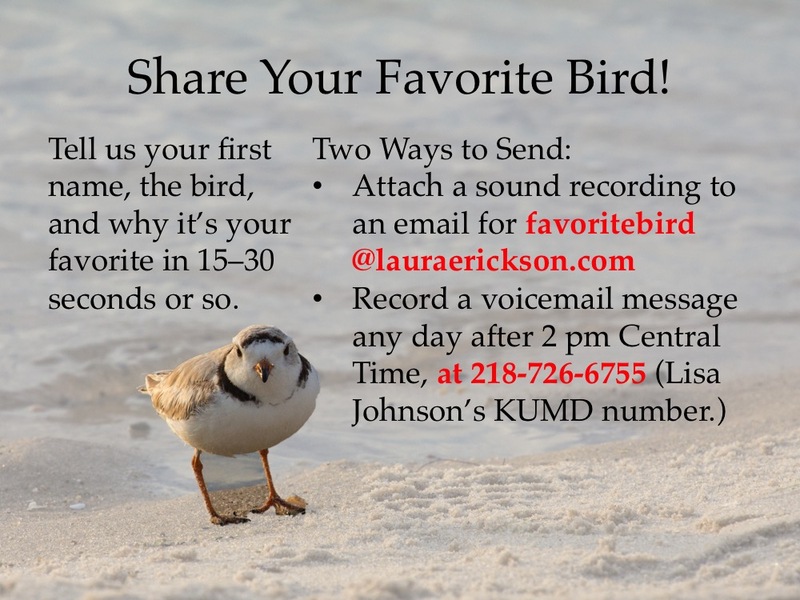 If the bird disappeared tomorrow, we would have no clue what happened to it unless it was found dead in Two Harbors. If it did suddenly take to the sky and followed the highway down to the southern end of I-35, we'd never know if it made it short of a miracle. It's not every day we see a miracle, or even just half of one. But this miracle sure left me yearning for another one. I got sick on my flight home Sunday, and hardly got out of bed yesterday. With luck I'll be feeling better by tomorrow or so. Yuck. Oh, my! I spent this weekend at the Central Valley Birding Symposium in Stockton, California. 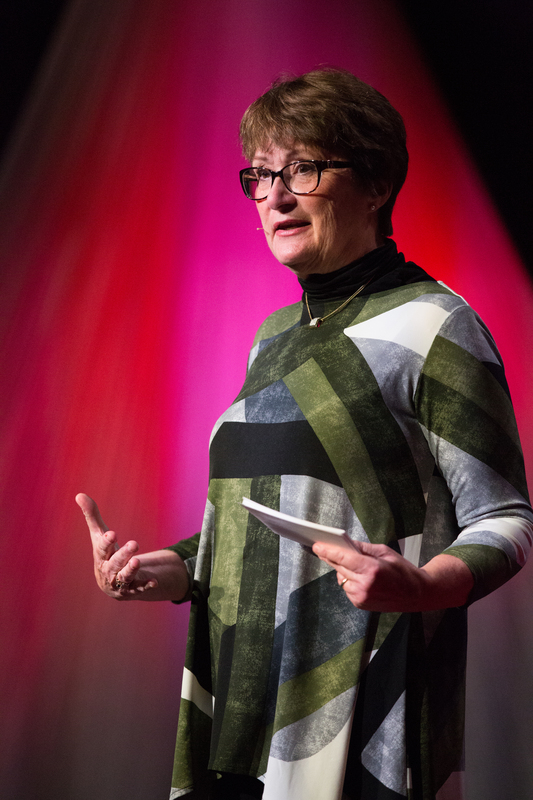 What a thrill to be invited to speak, and what a thrill to spend a weekend at such a wonderful event! There were some fabulous people there--the kind I hold in awe, like Jon Dunn, Steve Howell, Dana Gardner, Keith Hansen, and Alvaro Jaramillo! 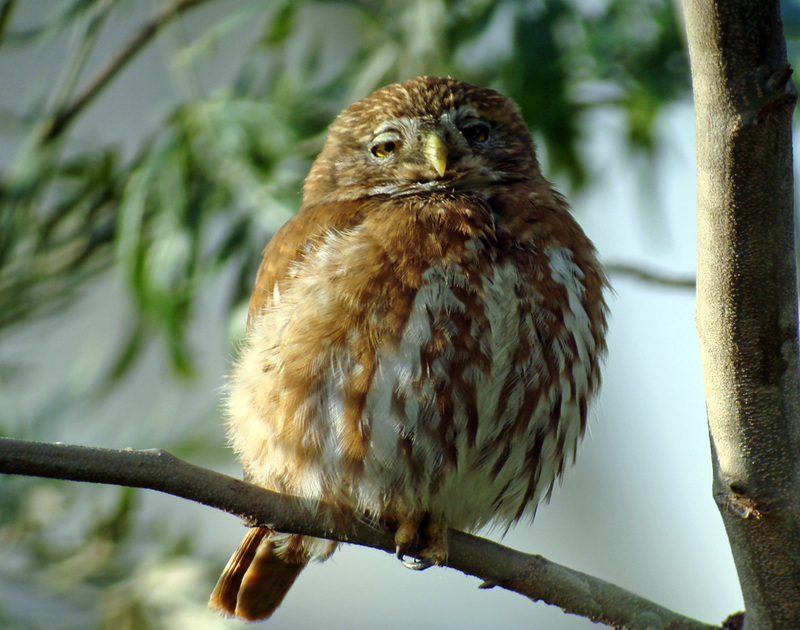 The symposium has the best elements of state ornithological society meetings and birding festivals, all wrapped into a sublime event that exudes the best of professionalism with a huge amount of warmth and friendliness. There were great field trips, and Friday morning I spent at least an hour and a half in the company of one of the coolest birds on the planet!! Who could ask for more? 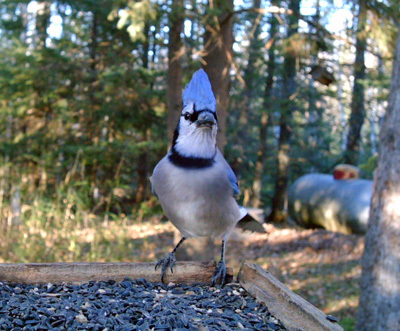 Here's a cool thing--I'm testing out a "BirdCam"--a great little weatherproof remote camera that can take photos with a motion detector sensor or via a remote control. 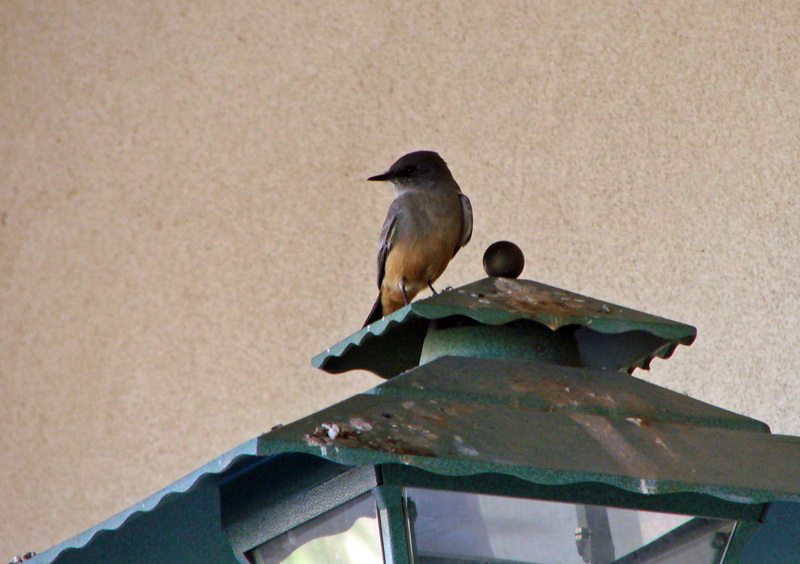 I was staying with my mother-in-law the last few days, and so I set it up in her feeders. It does a really good job, and has some well-thought-out features. 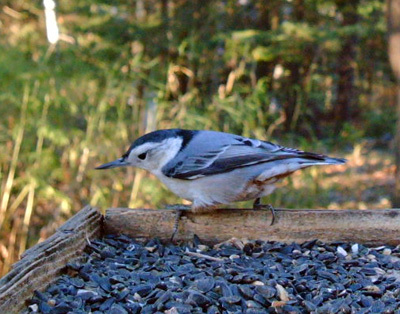 You can set the focus for how far the camera is from the birds you expect, and you can hang it up from a tree or secure it to a lot of feeders by using the bungee cords included. It took me no longer than 5 minutes from opening the box to getting it up and running, too! 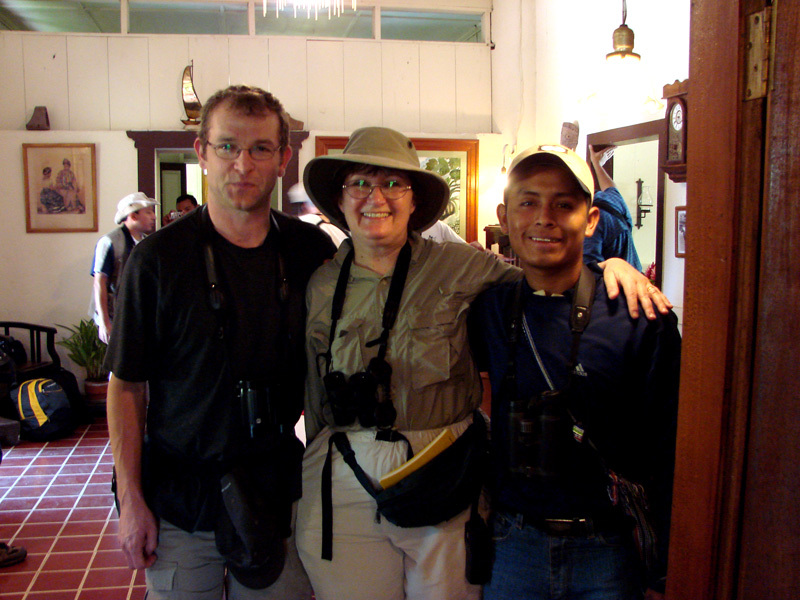 One of the people I admire greatly is Sheri Williamson, author of the Peterson Field Guide to Hummingbirds, and a fantastic educator. Sheri's been embroiled in the debate about capturing the Green-breasted Mango in Beloit, WI, last week, and sending it to the Brookfield Zoo. Her blog post about the issue is pretty darned fair and even-handed. If there are two books to give (or receive) as gifts this holiday season, it is the following two. 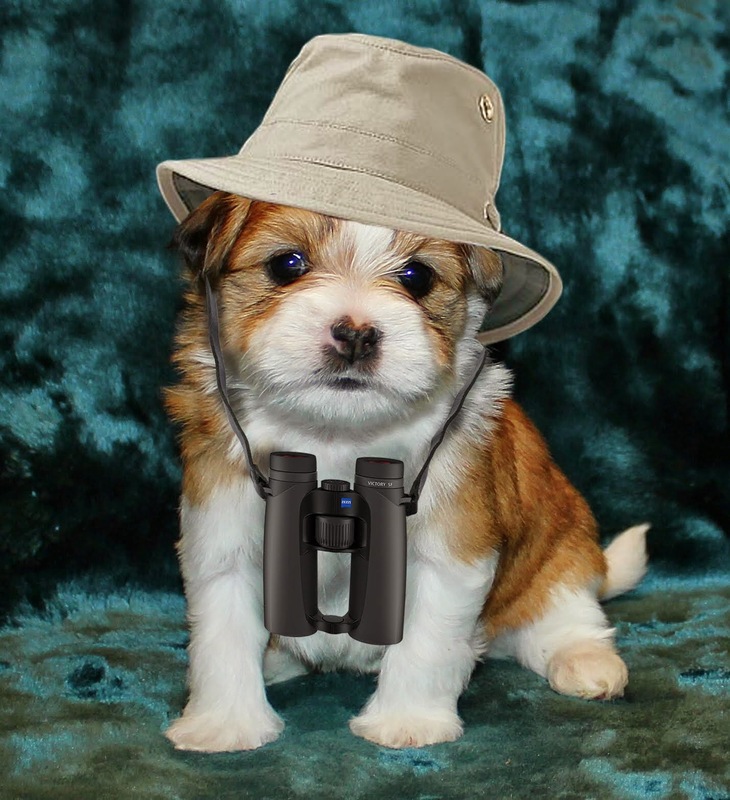 They will appeal to -- and have valuable information to offer -- both novice and advanced birders. They remind us that we share our world with truly amazing creatures that deserve our admiration and best efforts at stewardship. Father Tom Pincelli, organizer of the Rio Grande Valley Birding Festival and all-around wonderful guy David Bird, Director of the Avian Science and Conservation Centre at McGill University, and author of lots of books and columns and a great public speaker. For the first time since I was 35 years old, and for the last time till I'm 84, I'm TETRAHEDRAL!! Better yet for someone born on 11/11, the digits in my age add up to 11! That last happened when I was 47, and won't happen again until I'm 65. O frabjous day! Callooh! Callay! This promises a full year of sublime geekiness. 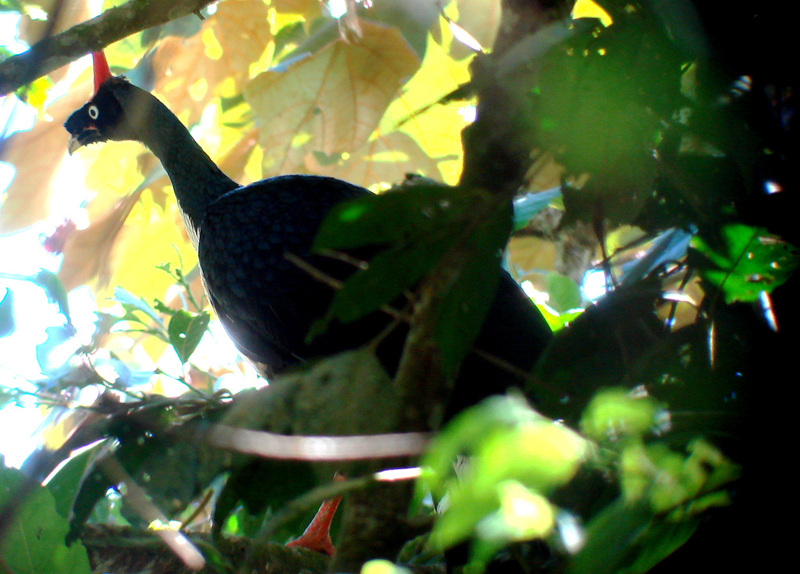 One of the coolest things I did when I was in Guatemala in February was to climb up a volcano to see a Horned Guan. This is one of the rarest species on the entire planet, found only in a tiny and shrinking range in Guatemala, Mexico, and Belize. The guide who stuck with me on the long, long trudge up there (we started out at 2:30 am, driving an hour to the end of the road and then starting to climb using flashlights for the first two hours), as I traipsed well behind the other guides and people in our group, told me that I was 20 years older than his mother! He didn't mean it the least bit snarkily--he told me he was proud that I was doing something his younger mother, and most people half my age--wouldn't have even tried to do. The people ahead of us on the trail located two or three different birds, and kept track of one for us. Oddly, or perhaps wisely, none of them were lugging a scope or camera equipment, but my sweet guide carried my spotting scope the whole distance, and I had my camera, so we all got some photographic memories of this splendid bird. To me, the Horned Guan is even more of a cartoonish bird than the Roadrunner. And being able to say that I'm one of the oldest women to ever see one is a pretty cool thing. Well, I wasn't young enough to try swinging on the vines! 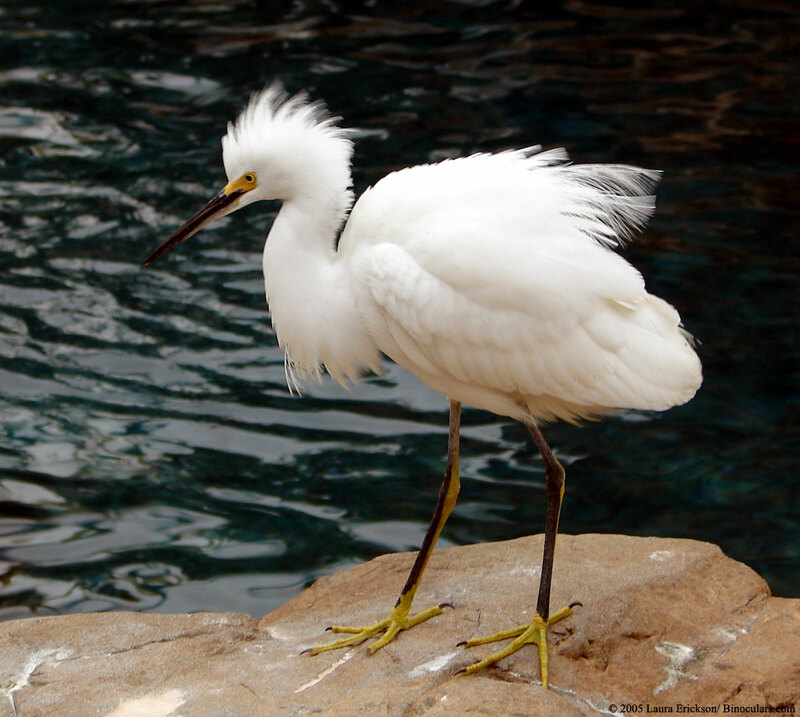 Isn't this the funkiest bird ever? Back to earth! My sweet young guide who made sure someone old enough to be his grandmother got up and down safely is on the right. Today is the last day I get to be "up to speed" (55 years old)--tomorrow I start exceeding the speed limit when I become a tetrahedral 56. I have a lot of friends who feel a bit sobered around their birthdays, thinking about growing older and all the things we lose with age. And thoughts of impending mortality loom for many people around the time of their birthdays. I can appreciate that at many levels, but I'm like a little kid when it comes to my birthday--I'm always excited anticipating November 11! And for those of you who are younger than me, dreading the very thought of the fifties, it really isn't so bad. 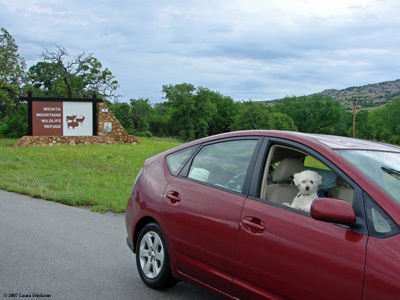 While I was 55, I camped with Photon by ourselves in the Wichita Mountains and had an absolutely splendid time. If I couldn't keep up with the athletic and youthful Joe Grzybowski as he climbed the rocky hills like a mountain goat doing his Black-capped Vireo work, well Joe's youthfulness is clearly not a matter of age since I'm pretty sure he's a bit older than me. This year I got to go to two national wildlife refuges that I've always yearned to see but had never been to before--the Bear River Migratory Bird Refuge and Bosque del Apache National Wildlife Refuge. During this past year I've also gone to Costa Rica and Guatemala. I got to meet and spend time with my biggest fan in the universe. And (thanks to that dear, dear Bird Chick), I have a photo of the wonderful Scott Weidensaul holding my book! And I've a whole collection of dear friends holding it, too! Of all the many wonderful things that happened this year, perhaps the most humbling and treasured moment was when Daryl Tessen called me and told me I was to receive the Wisconsin Society for Ornithology's Bronze Passenger Pigeon Award for "significant contributions to Wisconsin ornithology." I'm still floating on a high from that! Of course the year had some very difficult patches--what year doesn't? 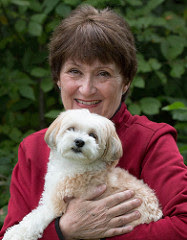 My family woes have multiplied, but my dear sister Mary, who has been battling breast cancer for a decade now, is still on the planet. She and I came through plenty of disasters this year pretty much unscathed, and that's saying something. And fortunately, Russ and my kids are all doing well and we're doing a way better job of being a family than the one I came from. Russ's mom, my beloved mother-in-law, broke her pelvis a few weeks ago but she's home, walking with a cane now (and not putting much weight on it!) and recovering splendidly. 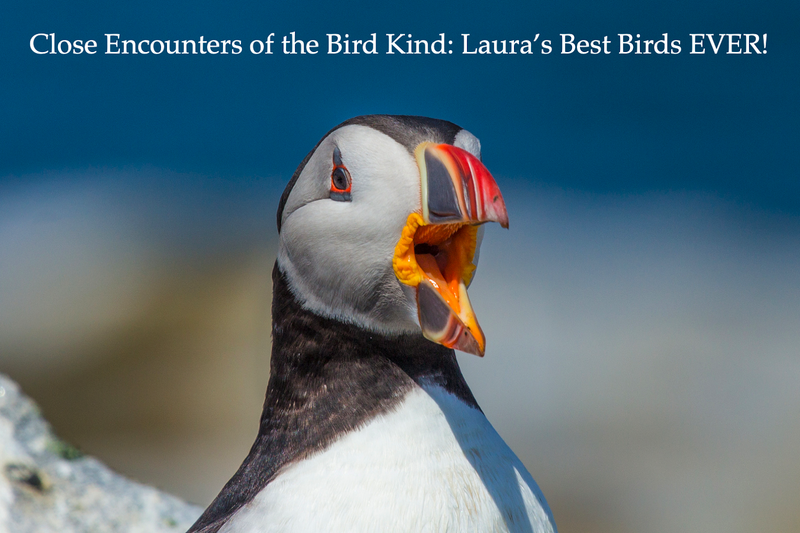 It was harder than I can say to give up my job this year--losing the income has been more difficult than I expected, and even worse was leaving a job I so treasured and which gave me such an outlet for sharing everything I love about birds. 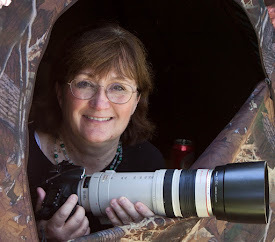 If not for that job, I'd have never started photographing and digiscoping, and would never have had a chance to get to know a lot of wonderful people, or to take some wonderful opportunities like my Guatemala trip. And some of my most treasured friendships today came about because of that job. For quite a while I despaired of ever finding anything again that could be nearly as wonderful an opportunity. But guess what? You know that aphorism about when one door closes, another opens? It looks like a BIG door might be opening for me--a door that could easily make the coming year the best year of my life. So far. I was reading BirdChick's blog this morning. Seeing her photos and reading her stories from south Texas made me salivate. 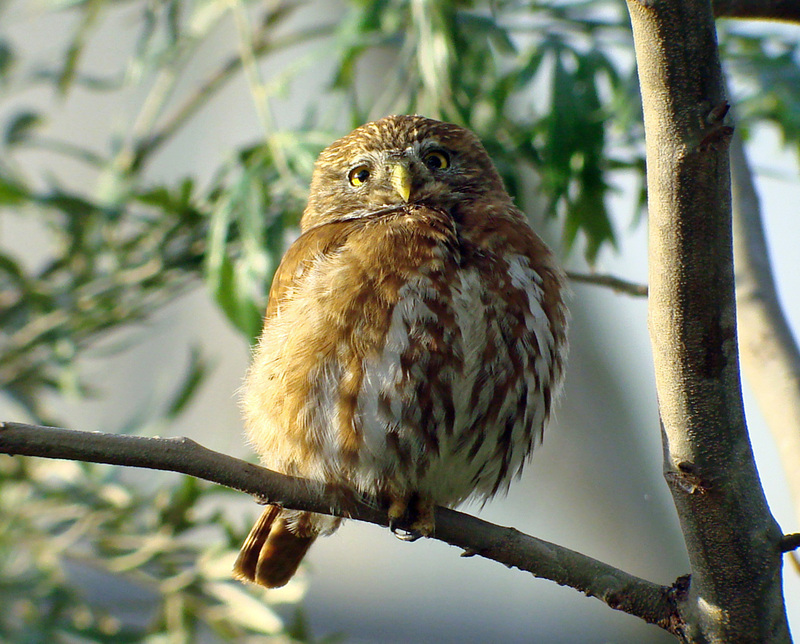 I saw a Ferruginous Pygmy-Owl back when I was at the King Ranch as part of a field trip at the Rio Grande Valley Birding Festival a few years ago. 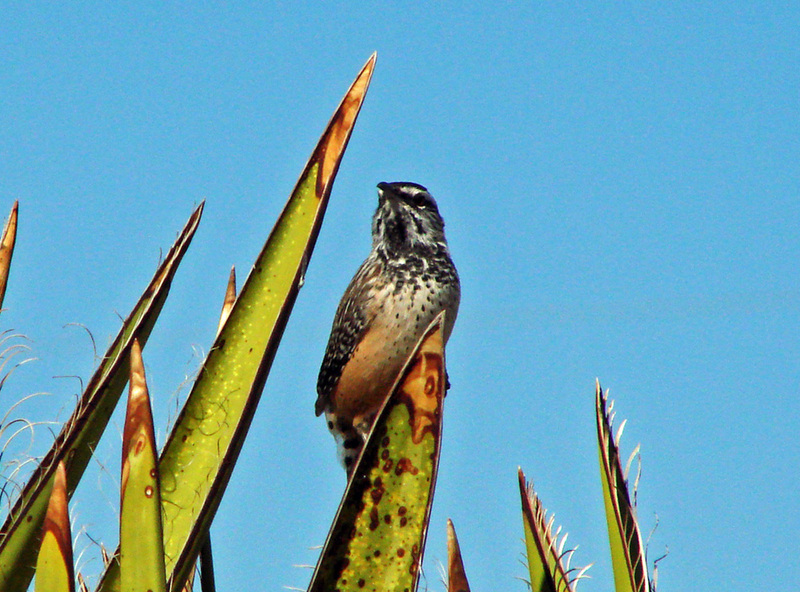 I'm not sure where my photos of that bird are, but I got more of the same species in February when I was in Guatemala. Air travelers are asking for trouble if they show up for a flight with 3.5 ounces of shampoo in their carry-on bags. But the Department of Homeland Security has decided that the government should not even trouble chemical plants to account for the storage of anything under 2,500 pounds of deadly chlorine. The department’s new rules on reporting stockpiles of toxic chemicals, issued last week, have certainly made the industry happy. They should make the public worried. California Gov. 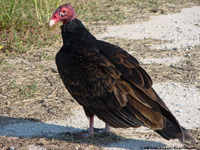 Schwarzenegger recently signed bill AB 821, which supports the continued recovery of the California Condor by banning the use of lead ammunition from areas inhabited by the endangered species. Condors frequently feed on animal carcasses left behind by hunters, and ingest dangerously high levels of lead from ammunition. This lead consumption has been a major health issue for the condor re-introduction efforts and has been responsible for the death and illness of several California Condors. The new law requires the use of non-lead, centerfire ammunition within the California Department of Fish and Game’s deer hunting zones that lie within current and potential condor range in California. Lead-free ammunition is increasingly available and will have no effect on hunters’ enjoyment of their sport. To the extent funding is available, big game hunters in these hunting zones will get coupons for non-lead ammunition at no or reduced prices. Read the whole article and jump for joy! I'll be in California next week for the Central Valley Birding Symposium. Tragically, I won't be anywhere near where the condors are. But I'll be breathing a sigh of relief that the worst scourge they still face will soon be part of their past, not their future. Thank you, Arnold Schwarzenegger! Frank Viola, one of the grand old men of a grand old New York sport — pigeon racing — died on Oct. 3 at his home in the Bath Beach section of Brooklyn. He was 87. Pigeon racing in the United States is at least a century old, but the sport really took hold in this country in the decades after World War II. Then, it was impossible to walk down the street in certain New York neighborhoods (among them Bensonhurst and Bath Beach) without one’s eyes being drawn upward by wheeling flocks of birds, which exploded into the air like fistfuls of thrown confetti. These were no ordinary street birds, but racers — homing pigeons whose care, feeding and lively under-the-table handicapping were the consuming pastime of a generation of New York men. Though racing pigeons are the same species as the common variety (both are rock doves), they are to New York’s street birds what Secretariat would be to a Central Park carriage horse. 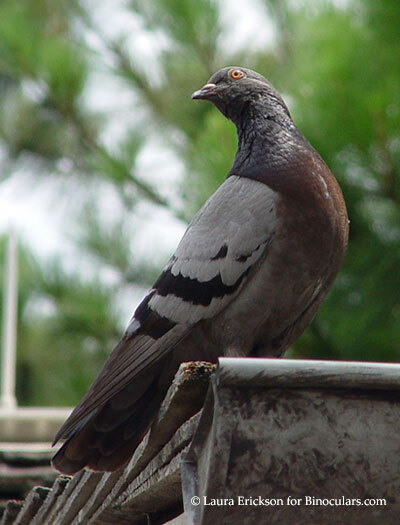 A true racing pigeon, which can fly up to 70 miles per hour, is a thoroughbred — all speed, muscle and pedigree. It can find its way back to its coop from nearly a thousand miles away. 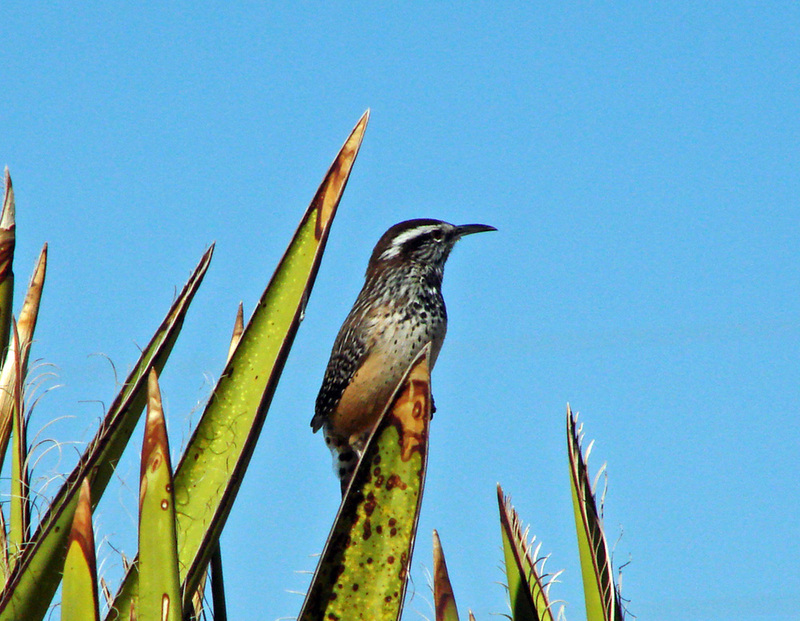 Prices for the best birds can run to thousands of dollars, even hundreds of thousands. For almost nine decades, Mr. Viola raised flocks of the finest pigeons he could buy, trucking them hundreds of miles from the city for the enormous thrill (and the less enormous monetary reward) of seeing them race home again. Throughout the city, on tenement rooftops and in tiny urban backyards, other men — immigrants or, like Mr. Viola, sons of immigrants — were doing the same. 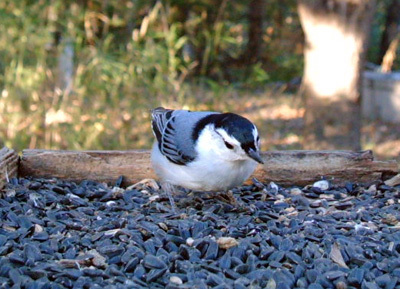 Mr. Viola, who kept as many as a hundred birds at a time, won his share of races. But he was best known for sponsoring what was considered one of the most prestigious races of the year, the Frank Viola Invitational, a 400-mile contest in which the birds are released in Ohio and fly back to New York. Begun in the early 1990s, the invitational is one of the few truly lucrative pigeon races in the country, with a total purse, put up by Mr. Viola, of more than $200,000. (Mr. Viola, who earned his living as a construction supervisor, did well in the stock market, his nephew said.) With his death, the race will no longer be held. Mr. Viola, whose gruff manner belied the tender care he lavished on his brood — he plied them with vitamins, electrolytes and specially prepared food — was considered an especially fine judge of birdflesh. He could spot one of his own pigeons in a whirling flock a block or two distant, his nephew said. Studying a prospective purchase, he examined its eyes with a jeweler’s loupe, looking for the telltale subtleties of color and form that are believed to indicate prowess. Frank Peter Viola was born in Brooklyn on Jan. 7, 1920, to a family that kept racing pigeons. (The family name is pronounced vee-OH-lah.) His mother died when he was an infant, and Frank left high school to work with his father, a plasterer from Calabria, Italy. When the United States entered World War II, Frank Viola enlisted in the Army. He served in five European campaigns and was wounded on the beach at Normandy, his nephew said. Mr. Viola’s pigeons also served: when war was declared, he donated them all to the military, which often used the birds to carry messages across enemy lines. Today, pigeon racing is mostly an old man’s game. In the postwar years, there were scores of racing clubs in the greater New York area; perhaps a dozen survive. But even now, on certain fine Saturdays and Sundays, one can see men tautly poised on the city’s rooftops, scanning the sky for a few distant specks winging home. Make sure you read the original article--there's a charming photo of Mr. Viola and his birds. 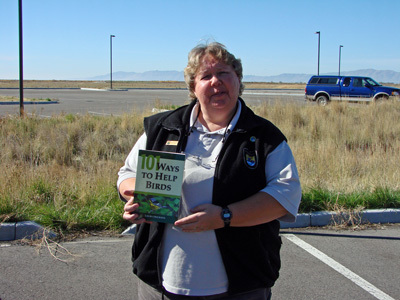 Here's Betsy Beneke at the Bear River Migratory Bird Refuge, holding MY BOOK!! 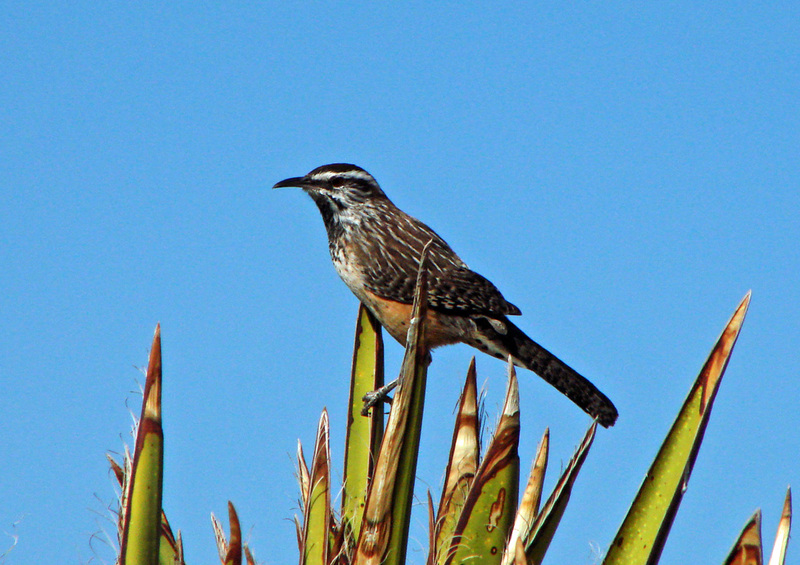 If Cactus Wrens were rare, people would travel long distances to see them. 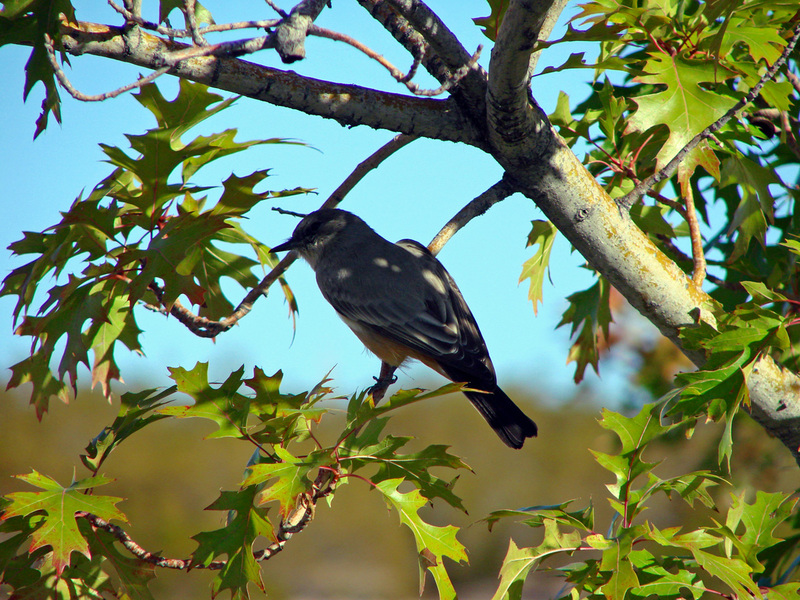 But they're pretty common in the Southwest, so we don't make much of a fuss over them. 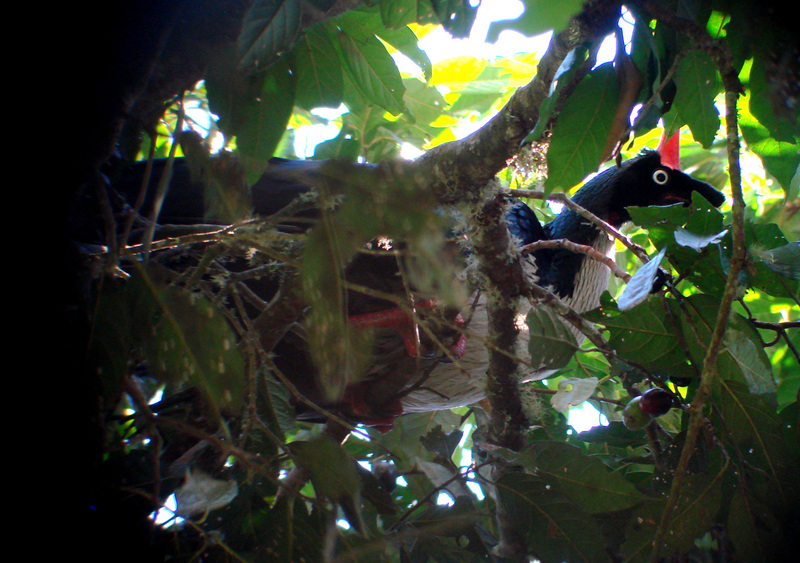 I found them at several rest stops, mostly hiding out in the shrubbery. But this one came out in the open for a little while. What a treat! NEW YORK (AP) — Stephen Colbert has dropped his bid for the White House. His announcement came after the South Carolina Democratic Executive Council voted last week to keep the host of "The Colbert Report" off the state's primary ballot. The vote was 13-3. "Although I lost by the slimmest margin in presidential election history — only 10 votes — I have chosen not to put the country through another agonizing Supreme Court battle," Colbert said Monday in a statement. "It is time for this nation to heal." "I want to say to my supporters, this is not over," Colbert said. "While I may accept the decision of the Council, the fight goes on! The dream endures! ... And I am going off the air until I can talk about this without weeping." In reality, "The Colbert Report" was going off the air because of a strike by Hollywood writers that began Monday. Many talk shows were expected to be shown in repeats during the strike. 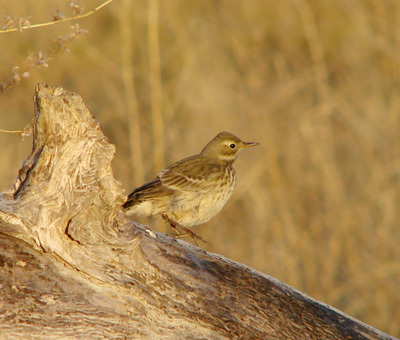 Perhaps the most common bird at the Bear River Migratory Bird Refuge while I was there last week was the American Pipit. They were everywhere! But harder than heck to get good photos of. They're like Melanie Hamilton, soft and subdued in color--not the least bit flashy--but lovely nonetheless. When you buy lumber or furniture, look for the Sustainable Forestry Initiative or Forest Stewardship Council logo or buy used. The earth is losing forests at an alarming rate for many reasons, including cattle production, agricultural crop production, commercial logging for lumber and pulp, and development. 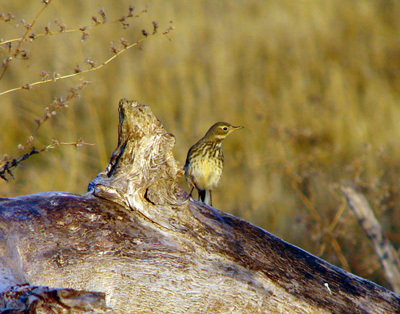 Deforestation causes enormous and wide scale environmental problems that hurt us as well as birds and other wildlife. Choosing products that are grown and harvested using sustainable methods helps all of us. The loss of forests has a profound effect on the global carbon cycle. From 1850 to 1990, deforestation worldwide (including the United States) released 122 billion metric tons of carbon into the atmosphere, with the current rate being approximately 1.6 billion metric tons per year. In comparison, fossil fuel burning (coal, oil, and gas) releases about 6 billion metric tons per year, so it is clear that deforestation makes a significant contribution to the increasing CO2 in the atmosphere. Releasing CO2 into the atmosphere enhances the greenhouse effect, and could contribute to an increase in global temperatures. Deforestation can cause dramatic changes in local climates. In the Costa Rican cloud forest, reduced rainfall and increasing temperature quite likely contributed to the extinction of the Golden Toad. This beautiful amphibian lived in the highland forests near Monteverde, called “cloud forests” because of the frequent formation of clouds and mist as moisture-laden Caribbean winds rise up the eastern slopes of the mountains. The humidity in those breezes is enhanced by moisture expelled from the leaves of lowland forests. 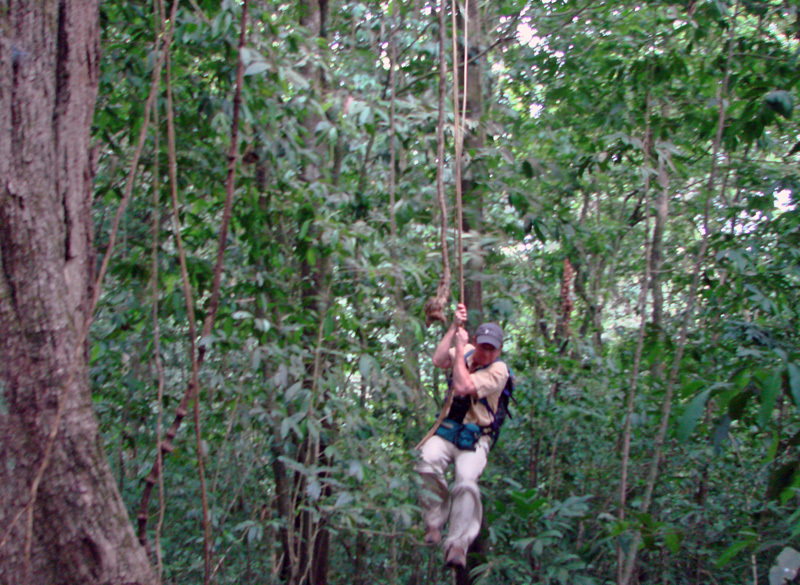 But by the early 1990s, only 18 percent of the Costa Rican lowland forests east of the peaks remained. Pastures don't humidify the winds as forests do, and the atmosphere above pastures is warmer than that over forests. So winds off these pastures rise farther and farther up the slopes before clouds condense. Golden toads depended on high humidity, and their sudden and dramatic disappearance gave intimations of more extinctions to come. We think of deforestation as a Third World problem, yet here in the United States, in the Pacific Northwest, less than 15% of our original old growth forest ecosystems remains. And according to the Seattle Audubon Society, although the Northwest Forest Plan decreased logging by 80%, the Forest Service continues to use mature and old-growth forests for 90% of their timber volume. Through the 1800s, the white pine forest dominating the Great Lakes region was almost entirely logged. Now most of that region’s forests are dominated by aspen, a pioneer species which is usually clear cut for paper and wood products such as plywood and particle board long before the forest could mature. And chip mills in the southeastern United States contribute to the clear cutting of over a million acres of forest every year. When buying furniture and wood products, remember that used products save trees. And when buying new, remember that furniture made of saw lumber come from forests that were allowed to grow to a mature stage, making it a better choice than particle board and plywood, which come from forests managed for short rotation and are manufactured with an array of toxic chemicals. As with food, it’s far better to buy wood that was grown locally. Not only does it minimize environmental problems associated with transporting lumber but also you'll generally get more accurate information about wood that is harvested nearby than about products that come from far away. The Sustainable Forestry Initiative (SFI) and the Forest Stewardship Council (FSC) are organizations devoted to encouraging the responsible management of the world’s forests. They set standards that may ensure forestry is practiced in an environmentally responsible, socially beneficial, and economically viable way. Their certification programs are endorsed by hundreds of environmental organizations. “The Flight” is an homage to the bravery of homing pigeons who saved thousands of lives in combat in the Great World Wars. Their achievements embodied the attributes of service, endurance, loyalty and supreme courage. Here, their memory is evoked by two present-day homing pigeons silently taking flight from the windows of a New York City apartment. The film dissolves to a forgotten past as we relive their ancestors’ selfless heroism. I got to watch the splendid little film today--it was lovely! I can't wait to see the documentary he's been working on, but that won't be for a while. He did tell me that Jerome Pratt died recently. We're losing so many of our living connections to history as far as the two World Wars go. I'm glad that in a very tiny way I was able to preserve some of one man's memories about an important time. There are tree frogs in the sink, in the sink. There are tree frogs in the sink, in the sink. Some are purple, green and pink, And their big eyes sometimes wink. There are tree frogs in the sink, in the sink. There's a tree frog in the toilet, in the toilet. There's a tree frog in the toilet, in the toilet. Please don't flush or you could spoil it For the tree frog in the toilet. There's a tree frog in the toilet, in the toilet. The Everglades is truly a national treasure. A few years ago I read news stories about the huge federal and state focus on protecting and restoring the Everglades. But out of sight, out of mind, apparently. Here's a disheartening story from today's New York Times.